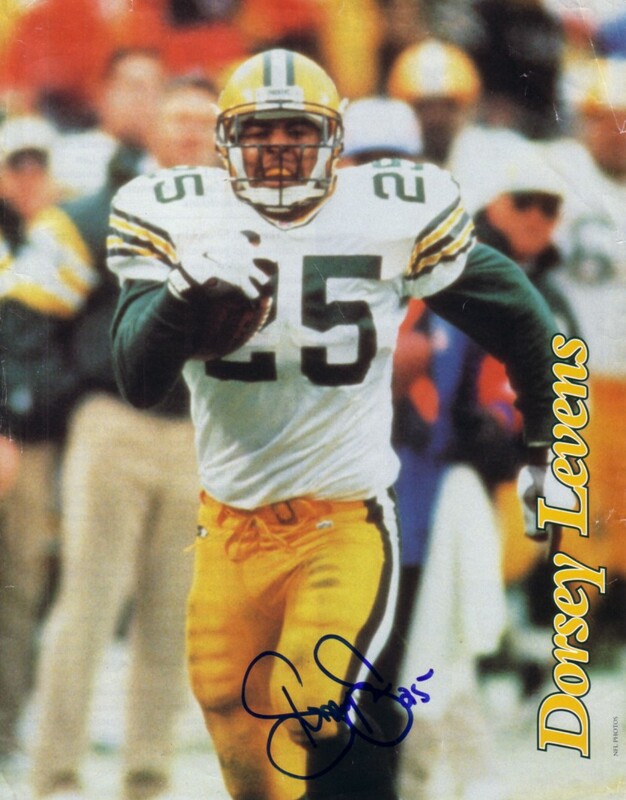 Full page magazine photo trimmed to 8 by 10 inches autographed in blue marker by former Green Bay Packers star running back Dorsey Levens. Has minor to moderate wrinkles. With certificate of authenticity from AutographsForSale.com. ONLY ONE AVAILABLE FOR SALE.